Over the past decade, United Way has led the Communities for Los Angeles Student Success (CLASS)—a coalition representing 70 community partners who advocate for education reform. In 2018, CLASS helped to pass Close the Gap Resolution by unanimous support of the Los Angeles Unified School District’s School Board. This resolution works to “close the gap” in education equity by 2023 and ensure all students in LAUSD are prepared to complete college and begin successful careers. Still, more than half of L.A. County students remain unprepared for four-year colleges or the workforce. 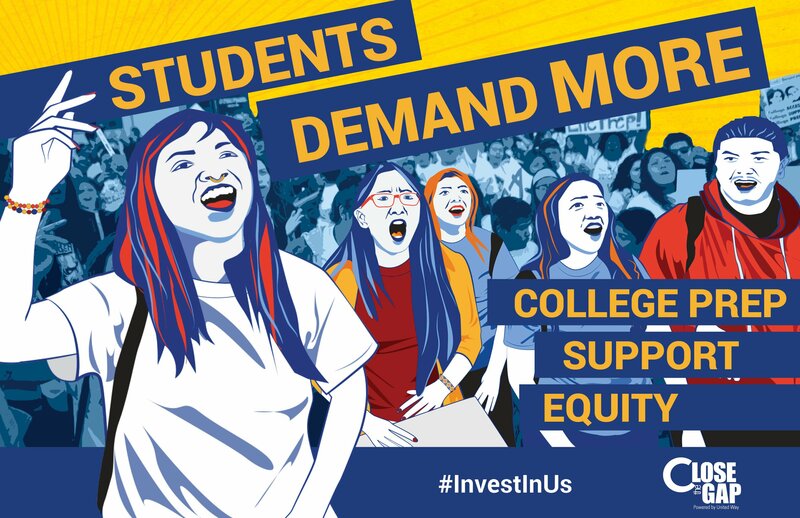 As we monitor funding and build coalitions to support long-term policy changes, our goal is to help each student receive the maximum support possible. Read United Way of Greater Los Angeles' research on equitable funding. Download a Parent Tool Kit here. Sobering reports tell us only 47 percent of African-American, 54 percent of Latino, and 26 percent of English Learner graduates were college eligible last year.